After a long time in the making, MSC Meraviglia launched this month, christened by Sophia Loren in a ceremony in Le Havre, France. The event is the first of two next-generation ships MSC Cruises launches this year, with MSC Seaside entering service in December. 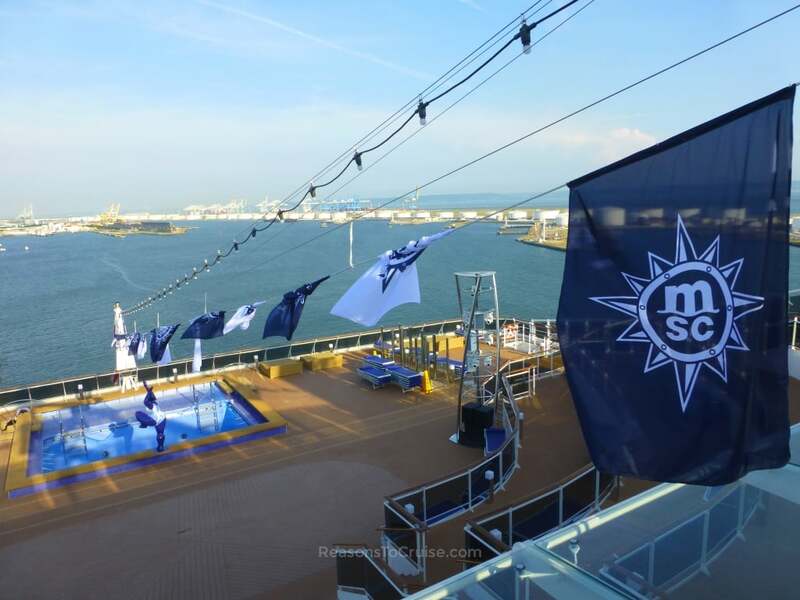 I travelled to Le Havre with travel agents courtesy of MSC Cruises to tour MSC Meraviglia for a night, staying in an accessible balcony cabin. MSC Meraviglia stakes the claim of the biggest and best ship in the Italian cruise line's fleet, and represents an evolution in the cruise line's history. I noticed one or two similarities to Royal Caribbean's Quantum class ships, so compared MSC Meraviglia to Anthem of the Seas. Just prior to the launch, further details about the World class of ships were revealed to the media. Two 200,000 gross tonne, LNG-powered vessels are on order, each with a maximum occupancy of 6,850 passengers. With talk of "family-friendly villages", expect to see some similarities between these ships and those in Royal Caribbean's Oasis class. Celebrity Cruises is drip-feeding information about its next generation ship, Celebrity Edge, which is due to launch in December 2018. From the initial launch, the ship's Magic Carpet feature (an external lift platform bolted onto the side of the ship) garnered a lot of interest. Now it is Eden's turn. Eden is a three-storey, multi-purpose panoramic venue at the rear of the ship. Eden looks as if it is the love-child of Royal Caribbean's Two70 venue and its Wonderland restaurant concept, which is not surprising given Celebrity Cruises President and CEO Lisa Lutoff-Perlo's involvement in both the Edge and Quantum class projects. The venue will transform from a chilled environment for breakfast, through to a venue for hands-on enrichment seminars and tastings during the day, before becoming a restaurant and entertainment space by night. In Tilbury, Cruise and Maritime Voyages celebrated the launch of its new flagship Columbus. The 1,400-passenger ship swapped its P&O Cruises Australia livery and interiors for a new British look and feel. TV personality Angela Rippon CBE is the ship's Godmother, naming the ship in front of selected media, travel agents, and customers. Cruise and Maritime Voyages seeks to carry 100,000 passengers cruising from the UK in 2018. Holland America Line’s ms Westerdam emerged from a 12-day dry dock at Fincantieri’s shipyard in Palermo, Italy. It features two new concepts for the cruise line - Explorations Central (dubbed "EXC") in the Crow's Nest, and Rijksmuseum at Sea. EXC is all about in-depth travel resources, while the Rijksmuseum sees reproductions of some of the museum's most famous pieces showcased at a dedicated space on Deck One of the Atrium. ms Westerdam borrows from sister ship ms Koningsdam with Music Walk venues Lincoln Center Stage and Billboard Onboard. It also has an intimate Gallery Bar, a refreshed Lido Market, and The Retreat area has been updated with private cabanas. Suites receive upgrades, the Greenhouse Spa and Salon gets enhancements, and the kids facilities at Club HAL and The Loft are revamped. 25 new staterooms takes the capacity up to 1,964 guests on this ship. Celebrity Cruises has launched its 2018 programme for VIP charter service from London Stansted Private Jet Terminal. This will be the third year the successful Jet Set Sail programme will run. Ponant's Le Lapérouse will be the first cruise ship to be equipped with an underwater space called Blue Eye. The company's Le Champlain, Le Bougainville and Le Dumont-d’Urville will follow. The venue will be located within the hull beneath the water line. Zegrahm Expeditions recently surprised its guests on the 'Spirit of the Himalayas' expedition with a private visit with His Holiness the Dalai Lama. CroisiEurope inaugurated its latest vessel, 106-passenger MS Douce France II, during a ceremony in Strasbourg. The company's 16-passenger RV African Dream, set to launch in Southern Africa in December 2017, is due to be ready in early August at the Harare shipyard in Zimbabwe. This unique boat will then be transported over 1,000 kilometres across the African savannah to reach its home port in Kasane, Botswana. Pacific Princess, Princess Cruises’ smallest ship, has received a multi-million pound renovation, spending two weeks in dry dock. The 670-passenger ship sports the new Princess hull livery, while inside, public spaces and cabins are refreshed and modernised. 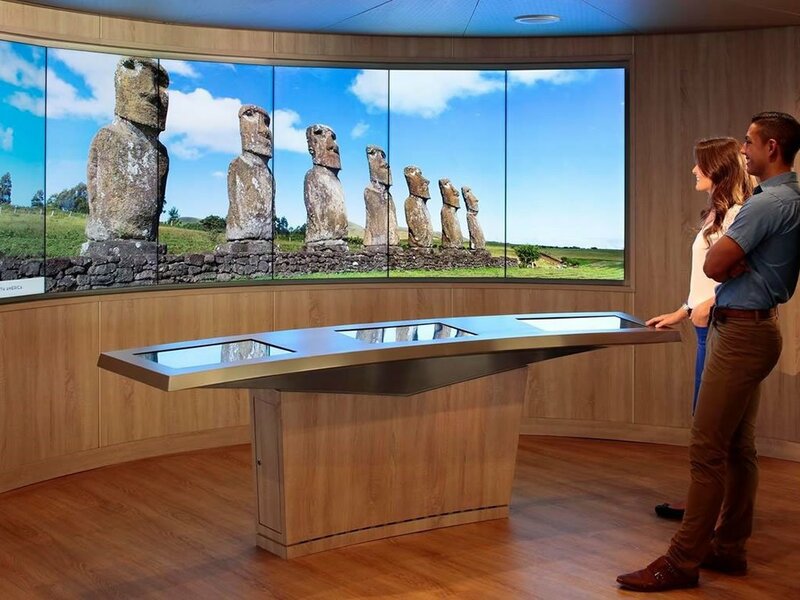 AmaWaterways launched its Wellness Programme on AmaLyra Paris and Normandy sailings. Expect four to six daily classes on offer, including morning stretches, jogging, yoga, cardio, core strengthening, and circuit training. Silversea launched a selection of enrichment cruises, including a ballet cruise, culinary arts and wine voyages, wellness expedition voyages, a Bridge cruise, and a Silver Perspectives enrichment programme. Princess Cruises allowed Brits to book a cruise for just a £1 deposit per person. The offer was available for one day only on 21st June. Hopefully the successful offer will be repeated again soon. The keel laying ceremony for Hapag-Lloyd Cruises' HANSEATIC nature took place at the Vard shipyard in Tulcea, Romania. Each of the two blocks in the keel weigh 33 tonnes. Shearings Holidays has partnered with A-ROSA Cruises to offer 21 all-inclusive tours on five premium ships, sailing along the Rhine, Moselle, Danube, Dutch & Belgian Waterways, Seine, and Rhone in 2018. Viking Ocean Cruises' third ship, Viking Sky, was christened in Tromsø beneath the Midnight Sun. The 930-passenger ship appears largely identical to Viking Sea and Viking Star. The fourth and fifth ships, Viking Sun and Viking Spirit, are expected to launch in September 2017 and 2018 respectively. Norwegian Joy, Norwegian Cruise Line’s first bespoke ship for the Chinese cruise market, was christened in Shanghai by the ship’s Godfather, singer songwriter, music producer, actor and film director, Wang Leehom. This was not the first time NCL opted for a Godfather as Pitbull is Godfather to Norwegian Escape. Princess Cruises will roll out its Ocean Medallion technology to three more of its ships - Crown Princess, Golden Princess, and Ruby Princess - from November 2018.